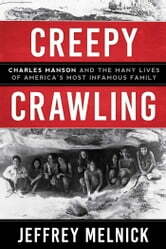 "Creepy crawling" was the Manson Family's practice of secretly entering someone's home and, without harming anyone, leaving only a trace of evidence that they had been there, some reminder that the sanctity of the private home had been breached. Now, author Jeffrey Melnick reveals just how much the Family creepy crawled their way through Los Angeles in the sixties and then on through American social, political, and cultural life for close to fifty years, firmly lodging themselves in our minds. Even now, it is almost impossible to discuss the sixties, teenage runaways, sexuality, drugs, music, California, and even the concept of family without referencing Manson and his "girls." 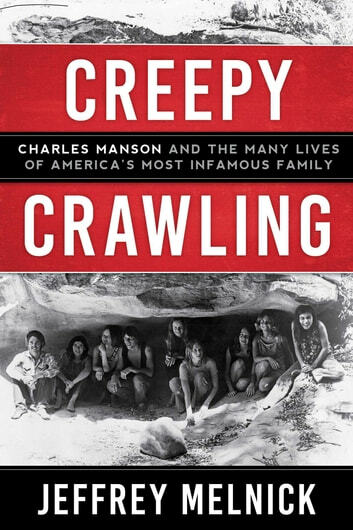 Not just another history of Charles Manson, Creepy Crawling explores how the Family weren't so much outsiders but emblematic of the Los Angeles counterculture freak scene, and how Manson worked to connect himself to the mainstream of the time. Ever since they spent two nights killing seven residents of Los Angeles-what we now know as the "Tate-LaBianca murders"-the Manson family has rarely slipped from the American radar for long. From Emma Cline's The Girls to the recent TV show Aquarius, the family continues to find an audience. What is it about Charles Manson and his family that captivates us still? Author Jeffrey Melnick sets out to answer this question in this fascinating and compulsively readable cultural history of the Family and their influence from 1969 to the present.